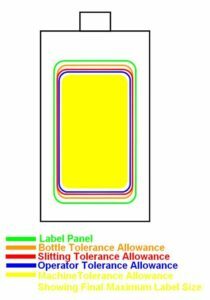 The following article going over the assessment of labels and bottles for a given Labeling Machine inquiry or order. With this level of knowledge applied to a client inquiry, you can confidently move forward with both machine and label supply. The consistency of products is entirely out of our control and we can only guarantee solutions where the product meets specifications and is accurately represented by the samples we have assessed to be suitable for the job. When people are moving away from hand labeling to Automated or Semi-Automated labeling they are entering into a new level of production with new constraints. During hand labeling, the operators have a chance to make corrections for product variations, packaging variations and label variations. They have the advantage of tactile dexterity and vision. An exaggerated example of this can be found in our video discussion of “Taking On This Cookie”. With Automated labeling, we need to orientate the product, detect the product and wipe or wrap a label onto the moving surface of the product. Variations in products, the labels and the operator set-up will all statistically add in an automated labeling process to present a worst case label application scenario. The labeling machine also has minor tolerances of operation that will also add to the worst case scenario. THE MORE SAMPLES YOU COLLECT THE MORE TRUE THE PICTURE YOU HAVE AS TO CURRENT PRODUCT VARIATIONS. Variations in product size are invariable; even for Plastic or glass containers. This information is often available from the packaging supplier as a Tolerance. When a product varies in shape this presents the worst kind of variation for Automation and indeed for hand labeling. Labeling with self-adhesive labels requires that that the label is applied to a surface that is flat OR has a curve in ONLY one direction. With round bottles the curve is in the direction of the Circumference. In some instances the manufacturers of round containers do not carefully control the shape of their containers and you see variations in the walls of the round bottles which results in complex contours (A surface with a curve in more than one direction). See the full article: “Complex Contours on Round Products”. The label manufacturer should be able to advise of the slitting tolerance of the web they can achieve; this can often be +/- 0.5 or 1.0 mm. These slitting tolerances lead to label position tolerance as the label head that dispenses the labels is fixed in position. A skilful operator is still human and may not set the machine in its optimum setting. One difficulty the operator faces is knowing if his/her setting is based on the Perfect Bottle and Label. Ideally the perfect bottle and perfect label lie at the center of a Bell Curve of variation/tolerance. If the operator set the machine based on samples that are not at the center of their bell curve of variation, then the labeling results will offset slightly and the maximum label shift will be more than the theoretical addition of just the product and label tolerances. It’s a good idea to allow between +/-0.5mm and 1.0mm variation for the Operator set up. The Labeling machine variations come from a few different sources. While many variation in machine label placement can be attributed to the set-up, the following discussion covers the case where the set-up has been completed to optimal settings. With Round and Flat Bottles, the LabelOn™ variation in label placement will be within +/- 1.0mm usually much better. With Oval Bottles, the LabelOn™ variation in label placement width wise will be within +/- 1.5mm usually much better , height variation remains within +/- 1.0mm usually much better. Visually looking at samples can give us an accurate confidence level. To do it properly, we need to know the tolerances we are likely to encounter. In the cases of Labels and Packaging, these tolerances are usually available from the respective manufacturers. Often people cut costs and go to cheap packaging suppliers where these tolerances are not available. The machinery we supply is based on the products being labeled remaining within tolerance and NOT presenting ANY complex contours. The size of the label needs to allow for the above listed ADD up of tolerances. A flat Bottle with total height 150mm, Width 80mm, Depth 40mm has a label panel height 80mm and width 75mm needs labeling. The manufacturer of the bottles states a height and width variation +/- 1% = +/- 1.5 mm height and +/- 0.8mm width. We later need larger quantities of samples and Labels for testing the machinery so the client knows what to expect prior to shipment and so the client can approve a machine prior to is shipment. The cost of getting these samples to our manufacturing in the US or abroad is for the account of the client. The cost of us running the samples is for the account of LabelOn™. The cost of returning samples separately to a purchased machine is for the account of the client. Who Services Your Labeling Machine? The straight answer is, you do. We flip the notion of expensive call-out charges where you can expect charges of $150 per hour as a technician drives over to your facility on their timing. The technician in the old-style approach wants to be the only person that can fix your labeling machine. It’s his job; if anyone else can fix it, he’s out of a job. The machine supplier that subscribes to the old-style service technician also wants the service technician to be the only one that can fix your machine. You can be sure their technician takes less than a third of what you’re charged. Not to mention the common predatory pricing tactics used for spare parts used on a service call. How We Help Service Your Labeling Machines? 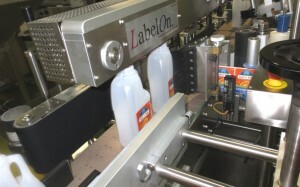 The LabelOn™ range of labeling equipment is a wise choice from a value and operations perspective. It is meticulous records made available to you, enabling you to be self-sufficient: supplied as a packaging solution. While we believe the price that we offer on our equipment is a best value proposition on its own, the service side of things, where we empower our client to service the equipment, along with the repository of information: the available library of videos and pictures, the ever-expanding knowledge base that is permanently recorded, and the propriety use of online galleries for all of our clients makes for an easy decision on your next labeling machine. The design of our equipment and the records that we keep of that equipment is coupled with today’s technology for communication. That technology includes the use of smart phones, the internet, screen sharing of PC’s, other handheld devices—all of which enable the instant sharing and communications of complex and simple procedures. There will be no requirement of digital scopes or soldering irons, PLC programming gurus, or machine setup wizards. The design and the information that we provide enable machine operation, service and maintenance to be carried out by suitably qualified technicians in your own staff or contracted technicians of your choice—people whose availability you control. There’s no more waiting hours or days for the first available technician to come out, look at your machine, and then shrug his shoulders saying, “I’ve never seen that problem before.” Our engineers and technicians are on standby and available to take your call immediately or within a few minutes of when you need to talk to someone. In the unlikely event there’s a problem we’ve never seen before, we’ve got the records and the resources to figure out that problem in a collaborative approach that can involve a number of our staff, parts suppliers, and our vendors. You won’t be waiting for a technician to return back to base, trying to describe a problem that he’s never seen before. You and your appointed technicians will be working with a team that enjoy the challenge of working out a solution and whose motivation is to hear how impressed you are with the way your service issue was handled. To the business owner who says, “I just want someone to solve all my problems.” This is the way we solve all your problems. It’s faster, it’s recorded, it’s more reliable, and it’s cheaper. The LabelOn™ Labeling Solution awaits you. If you have requirements of 1000 pcs a week or more, the LabelOn™ Bechtop Flat and Oval 1 or 2 labels machine will pay for itself extremely quickly. It will also make your shelf presence look like you were using accurate packaging equipment 4 or 5 times more expensive than this unit. We can even configure this machine (at point of manufacture) so that it achieves an astonishing feat – a single full wrap of an oval product!! 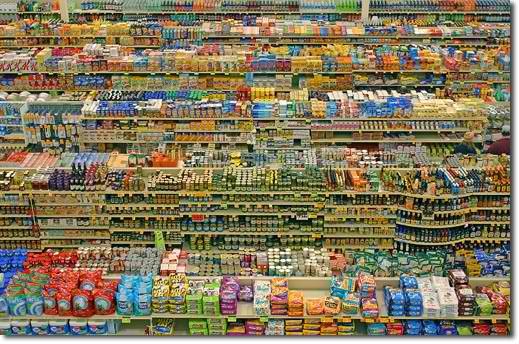 Why do people tend to shop in supermarkets? One top answer is, “Because they provide variety of products needed in everyday living.” Wait, did he say variety? How is this for variety?! Supply and demand is probably one of the most basic principles of economics which is the backbone of a market economy. Demand identifies just how much (volume) of a product or service is desired by consumers. The greater a merchandise is needed, the greater the demand, the more the production expenses are amortised within each individual item and could be sold at a more affordable value towards the consumer. The law of demand states that, if all other variables remain equal, the greater the cost of a good, the less people will demand that good. Put simply, the greater the price, the lower the quantity demanded. Take into account the volume of merchandise produced daily! The most typical stages in manufacturing a product prepared for retail market involve Filling, Capping, Sealing, Labeling and Packing. While each one of these can be carried out manually, by far, the most difficult and often frustrating task is applying self-adhesive product labels by hand. If a labeling machine would carry out its job flawlessly, it would likely raise the effectiveness of all the preceding steps carried out to be able to prepare a merchandise market ready. There will be no rejects, no wasted labels and containers, no product thrown away and no natural resources wasted. The manufacturer’s labeling machine has a big responsibility because it is the labeling that is the primary presentation packaging of the product. During manufacture, if this stage of production goes wrong it could push costs through the roof for the plant operators and owners resulting in necessary price increases to recover these costs which are passed on to the consumer (if they will accept them). Higher costs or poor shelf presence due to borderline labeling may ultimately lead to the loss of sales. In production, when you are letting through a lower quality item by not rejecting it because it is considered borderline or perhaps the best your labeler is capable of doing, you are working against your business’ personality in the market place. If you are interested in preserving your product and company’s identity, it would make more sense to do the job right the first time instead of having to reject a number of produced items. Look at the picture above and decide whether you can sacrifice the look thereby the quality of your finished product just because you have decided you wanted to save a few dollars instead of investing in the right labeling equipment. Contact us today. We can certainly help you achieve your production goals. This article focuses on self-adhesive label applicators. These are the type of label applicators that typically automatically apply sticky labels to bottles, tubs and/or cartons. A good start to your search for labeling machines is to identify the benefits you hope to achieve by moving to automated product labeling. – Consistency of label application and the product’s shelf appearance – especially important in the pilot launch volumes stage. With the above benefits in mind it is a good idea to establish the maximum budget you can justify because properly allocating a capital expenditure budget will enable you to maximize the operational benefits that are available when selecting your labeling machine. 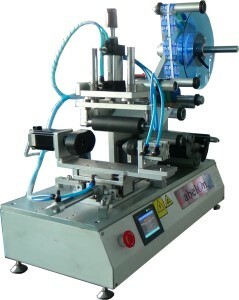 There are a significant number of Label Machine suppliers ranging from almost unbelievably low cost China options to high end high ticket suppliers in Europe or the US. It’s a good rule of thumb to remember that for the very low cost options you get what you pay for. For the medium to higher end labeling equipment the thinking needs to change from looking for the lowest cost option to looking for the “Best Value” option. Many higher end machine suppliers have significant size service departments and these service departments often report as separate operating units within the machine suppliers company, operating units that have to make a profit. To this end there is often little incentive for these machine suppliers to provide equipment that is intuitive to self-service or to supply parts at a low cost plus margin basis. These suppliers usually charge high call-out fees and hourly rates. On the up side you do get service and can operate with less technical staff or less technical contractors. On the flip-side low end machinery suppliers may not have adequate communications, machine records or service capabilities. Lower end machines are more dedicated and may not be able to accommodate for many variations in your product or label requirements. If they can accommodate for product changes the change over time can extend into a many hours long process requiring a great deal of fiddling to get right. Often overlooked, machinery that is not intuitive or looks daunting to operate and service can be a hard sell to your operating staff. This cost can be the most costly one as machinery not properly accepted by staff will not be utilised properly or maintained properly. For all but the most basic applications with few to no product change-overs Low End Machinery should be avoided if you have enough budget allocated. For all but the most demanding high speed applications the High End machinery should be avoided. For most applications, especially where some versatility is required, the medium end label applicators should be considered. When looking at these ranges of equipment do look out for the Best Value Labeling Machine Proposition.